You never know when you may need to suddenly let go of your paddle or fishing rod. We stock a range of leashes that will keep you paddle or fishing rod tethered to your kayak at all times. We advise that leashes should be attached to your kayak and not your wrist. The Feelfree Paddle Leash will ensure you paddle stays close-by should you have to quickly let go of it. 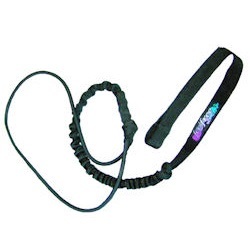 It could also be used as a rod leash to keep your rod attached to the kayak in event of capsize. 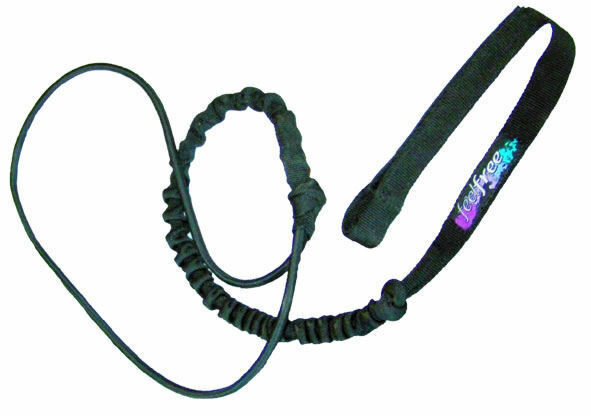 The leash has an elastic construction with a velcro paddle attachment. A simple, lighweight leash that will keep your paddle/rod tethered to your kayak. 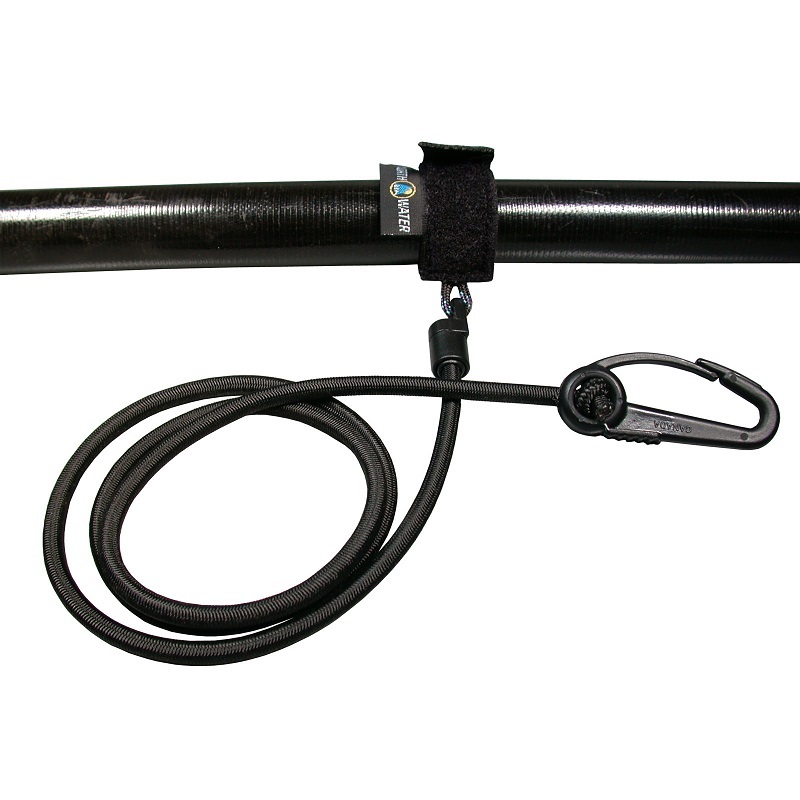 The 6mm x 42" bungee extends up to 84". 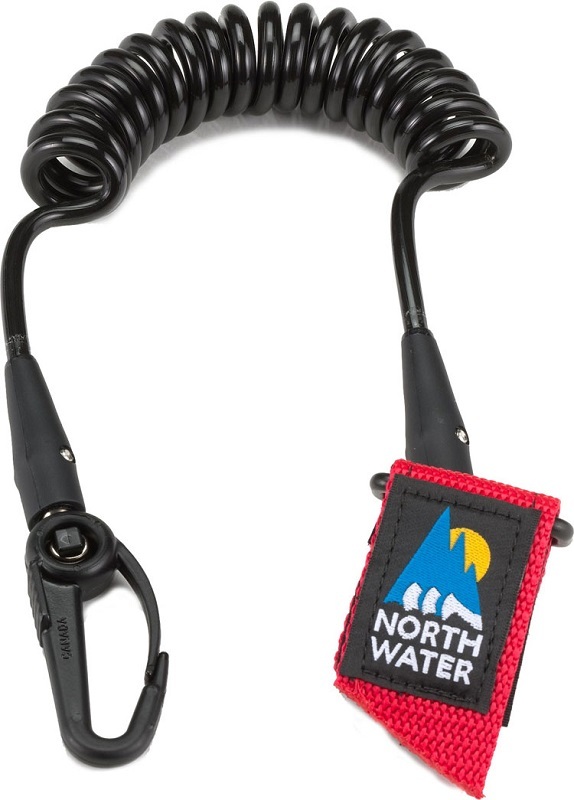 A large thumb snap hook easily opens with cold or gloved hands for attachment to the kayak. The leash attaches to the paddle shaft using a 1" velcro webbing tab. A compact, lightweight and robust leash. The high quality 8mm Urethane coil extends from a compact 18" up to 66". 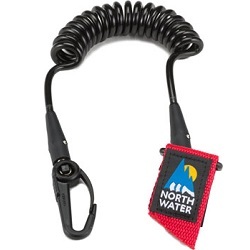 A large thumb snap hook easily opens with cold or gloved hands for attachment to the kayak. The leash attaches to the paddle shaft using a 1.5" velcro webbing tab. Keep your rod securely attached to your kayak! One end clips to your kayak with a brass clip, and the other end features a bungee loop and adjustable toggle to attach to your fishing rod. 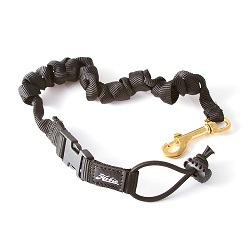 The leash can be unclipped from the rod quickly should you need too, with a simple quick-release clip.